Todd’s gone to Craft Brewer’s Conference so Joshua & James are in charge! Once you saw that James is on this episode, you sighed a sigh of relief, right? Joking aside, Todd just got back into town from Nashville after attending the 2018 Craft Brewer’s Conference so we allowed him to recover (he actually burst in to James’ office during the show before realizing we started recording without him!) while we took your questions. 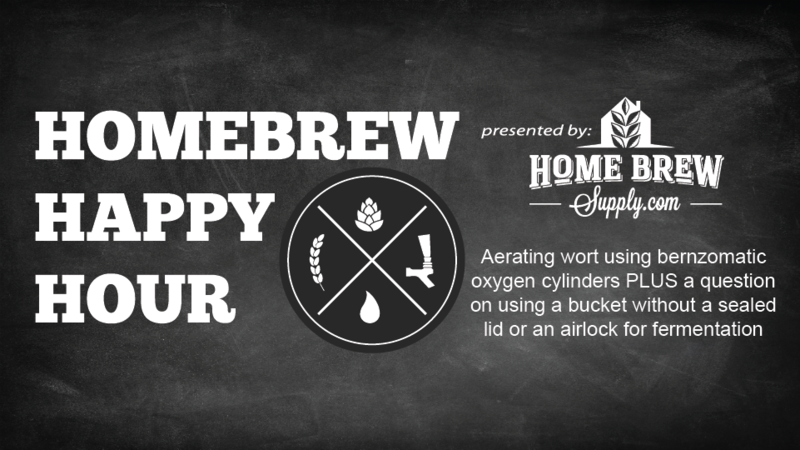 With that being said, today’s show is another Q&A taking your questions on aerating your wort using oxygen and, specifically, oxygen from a bernzomatic cylinder (what they also refer to as “not food grade”) and also a question on fermenting with a bucket that doesn’t have either a sealed lid nor an airlock. We also small talk on the upcoming HomebrewCon and make some jokes at Todd’s expense (hey, if you’re absent from the show then you’re fair game! ).